We often stumble upon the term “wealth management.” It is one of the most prominent industries of any economy and is rapidly emerging as the biggest trend in financial service ecosystem. It is one of the most attractive sectors of the economy, considering the rewards gained upon the investment. The wealth management industry has witnessed massive transformation and a series of shifts in the landscape in the last few years. The rise of wealth management technological trends, an increasing number of multimillionaires, the flourishing economy and improved income levels have led to the rise in popularity of the services and products in India. Wealth management is relatively a new concept that is gradually attracting the attention of the new generation investors. This financial field is an investment-advisory branch of knowledge that brings together other financial services to help the affluent and the rich in managing their wealth. Wealth managers help in improving clients’ financial situation with the help of the wealth their clients possess. It is often referred to as consulting services wherein advisors gather information to understand clients’ needs and customize tailored strategies with the help of various financial services and products in the market. This branch of financial services utilizes several other branches of knowledge such as financial services, investment, risk management, retirement planning, estate planning and more. The advice incorporates all the aspects of a person’s financial life. This is wholly a client-centric discipline wherein the advisor is devoted to creating plans that suit the customer’s needs and expectations and achieve their financial goals. 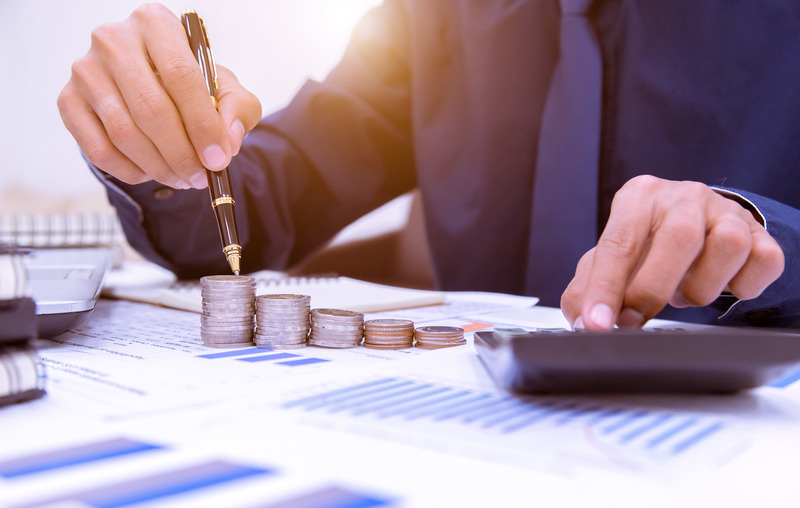 While this field of financial service is well-known among the affluent clients, the new generation of investors are also showing interest in it. We spend most of our life in earning money and living a quality life. However, the simple accumulation of funds and savings may not be the best thing to do. It is important that the wealth they possess is managed well with two primary objectives; security, and growth of the existing savings. It is important to build a strategy to make your savings grow further. This is exactly why we need wealth management technology. With a better insight into your financial goals and expectations, the advisor chalks up a strategy that will help you accomplish most, if not all of the financial goals. Apart from this, advisors also help in effective tax preparation. To meet your goals effectively, it is important to understand your financial strengths and weaknesses. This requires a great deal of analysis of your assets and accumulated wealth. Without the help of the right channels, this can be an extremely difficult task. These advisors use help in creating and setting a strategy and monitor its progress. Every individual has different objectives at different stages of life to achieve with his or her accumulated wealth. These advisors help you understand these objectives while creating a wealth management plan. Whether it includes your financial goals for heirs, to provide for unforeseen circumstances, or for community legacy, it is important to come up with a clear objective and plan that will help you accomplish them. Each investment and allocation must be responsive to the core goals of financial planning. Wealth advisors’ primary goal is to create a better future for their clients and reduce the stress of uncertainties. Wealth managers help you allocate your funds in such a way that during the time of precarious situations, finances can be used appropriately. They help you prioritize your needs and take important financial decisions based on various stages of life. Also, create appropriate and realistic goals and organize them from time-to-time. Customized solutions: Consultants understand that there is no standard plan to meet every individuals’ financial goals. Therefore, they provide personalized solutions to each one of their clients, keeping in mind the personal requirements. By studying your background and creating a wealth portfolio, a wealth manager’s work is to create a customized plan and measure possible outcomes and returns. They keep in mind the risks and probability of achieving financial goals. It must be noted that risk management is an integral part of this field. Apart from this, wealth management services help you establish a detailed analysis of your financial health. Equipped with the set of multi-disciplinary skills, advisors help you make critical decisions like where to allocate assets, how to optimize tax benefits, retirement plan, and what should be the saving goals. It helps in making your wealth work for you in the most realistic manner, considering the possible retirement and inheritance issues. Meanwhile, the market is flooded with financial products. These advisors have a great knowledge of these products and offer to help you distinguish between good and bad investment. A good wealth management plan will help you fill the gap between your future goals and current financial status effectively. It helps you in fulfilling your financial objectives by channelizing your financial strengths in the right direction. Wealth management clients are highly sought-after because of their affluent financial status. Many banks and financial institutions have integrated wealth-management technology solutions, products, and services in their existing structure. They have specialized teams for promotion of the sales and services of these products. Wealth management in India is a relatively new concept. The industry began to attract attention only after the advent of private enterprises that opened new avenues of earning income. Now, with the rising trend of start-ups and entrepreneurial ventures, the income levels have gone up and so have numbers of High Net Worth Individuals. According to a report, around 48% of India’s total wealth is held by HNWIs. Also, the number of HNWI is rapidly increasing. From 124,000 HNWI in 2007, the number has doubled to 330,000 in 2017. It is said to be one of the fastest growing segments of the population. Consequently, the wealth management industry continues to grow. As India is expected to become the third largest economy in the world by 2030, financial institutions are devoted to increasing their reach as wealth managers. While this industry is still in its early stages, there are some big players in it including Reliance Money and Aditya Birla Group along with some major banks like Kotak Mahindra, ICICI Bank, Canara Bank, State Bank of India, and more. As mentioned above, the wealth management industry is going through a major transformation. One of the many reasons for this massive shift is the digital disruption in wealth management industry. With the advent of technological innovations, several global industries are experiencing a change. Wealth management is one of the most impacted ones. With a shift in preferences, advancement in financial goals, and change in expectations of new generation investors, the new technology is playing a significant role in shaping up and setting the new standards to the industry. Advisors are now presenting superior investment plans to meet the needs of challenging investment scenario, increased levels of unexpected circumstances, higher levels of risks, and enhanced regulatory and compliance standards. The emerging wealth management digital trends are helping advisors establish intelligent solutions that are well aligned with evolved preferences and demands. Here are a few emerging technologies that is causing a massive digital disruption in wealth management sector. A rapidly developing field, it helps in analysis of large amounts of data, structured or unstructured, large or complex. This can be used to generate insight and make better decisions. The technology has a great impact on individual’s financial portfolio as well as the economy’s financial health. Big data analysis has contributed greatly towards making automation a reality and effective mechanism. It enables the advisors make decisions that can be applied to the entire client base. The evolution of AI technology is real, and it is getting bigger. This technology is expected to impact wealth management services just as much as any other industry. Chatbots and AI advisors are deemed capable enough to assist and provide personalized investment choices. However, reluctance from humans is expected especially when it comes to handling their fortune by a machine. Therefore, the financial services have adopted a mixed approach wherein a wealth manager provides personalized solutions using AI tools for mathematically perfect explanations. Blockchain is the buzzword, and several industries are excited to experiment with its potential. It is one of the essential components of various banking, investing and cryptocurrency technologies. 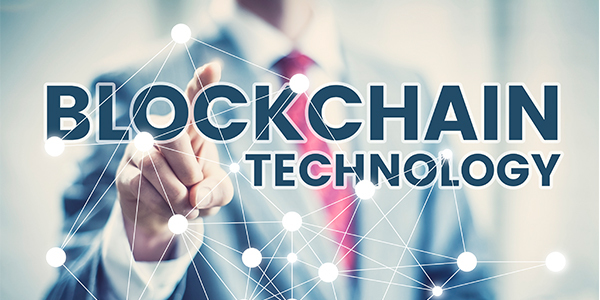 This block technology uses a massive amount of data to create unalterable recorded data which is beneficial for data management and building secure wealth management data software. Undoubtedly, cloud-based computing has changed the face of several top industries. Now, even the wealth managers are ready to explore its potential and improve their back-end operations as well as customer experience. It enables the companies to carry out operations on reduced costs and risk and provide improved quality service to the clients. It helps wealth managers deal with their IT challenges efficiently. Maintaining and creating financial documents is simplified with digital paperwork. Apart from these technologies, internet of things and virtual reality are also creating an impact on the industry. All of these wealth management technology trends suggest a big shift. Though in its nascent stage, this sector of financial and banking services has evolved by leaps and bounds in less than a decade. Meanwhile, with the emergence of Fintech firms, wealth management has become a competitive field with the possibility of enormous booming opportunities.